University of Virginia Library Online Exhibits | Party invitation issued by Socrates Maupin when he was a University of Virginia student. 1832. 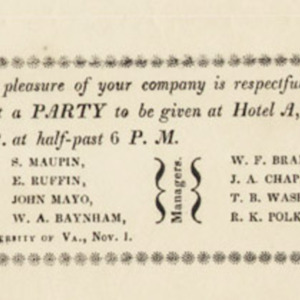 Party invitation issued by Socrates Maupin when he was a University of Virginia student. 1832. “Party invitation issued by Socrates Maupin when he was a University of Virginia student. 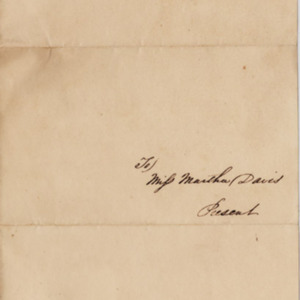 1832.,” University of Virginia Library Online Exhibits, accessed April 25, 2019, https://explore.lib.virginia.edu/items/show/2126.